As the Senate begins the confirmation process for Supreme Court nominee Brett Kavanaugh, senators must evaluate Kavanaugh’s qualifications to determine what kind of justice his will be.. Some parts of his record, such as his service in the executive branch, are not relevant to that question, while other parts, especially his judicial opinions and many of his speeches, are very useful. Three of those speeches are Kavanaugh’s keynote address at the February 2017 University of Notre Dame symposium on Justice Antonin Scalia’s jurisprudence; the September 2017 Walter Berns Constitution Day Address at the American Enterprise Institute; and the November 2017 Joseph Story Lecture at the Heritage Foundation. These speeches reveal that Kavanaugh understands the role of judges in our system of government to be defined and limited. He addressed this in a general way at Notre Dame, for example, agreeing with Scalia that “the judge’s job is to interpret the law, not to make the law or make policy.” Approaching this question more specifically at the American Enterprise Institute, he highlighted Chief Justice William Rehnquist’s success “in stemming the general tide of free-wheeling judicial creation of unenumerated rights.” In other words, the law is already made—by the American people and those whom they elect to represent them—by the time a judge uses it to decide cases. Another example of Kavanaugh’s belief in a defined and limited role for judges is his embrace of what is often called a “textualist” approach. This approach treats the Constitution and statutes as concrete text rather than as vague ideas or concepts that judges can manipulate any way they wish. At the American Enterprise Institute, for example, he emphasized that the Constitution is “a document of majestic specificity” whose “words have meaning.” Judges must discover and enforce the meaning that the Constitution already has. 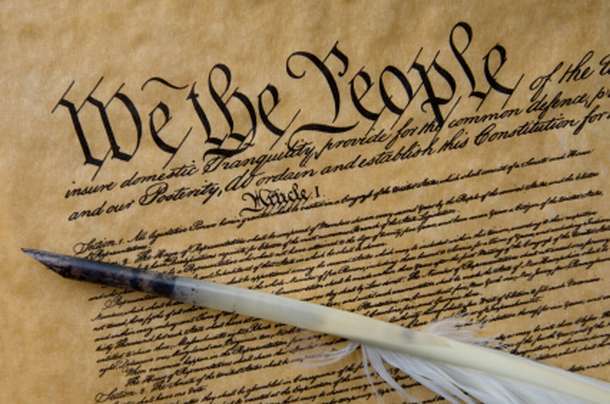 They may not substitute the meaning they want the Constitution to have. Textualism, however, is only the first step. When Congress enacts a statute, or an agency issues a regulation, the meaning of that text may still be unclear or ambiguous. In his Joseph Story Lecture at The Heritage Foundation, Kavanaugh addressed the challenge that this poses for a judge trying to ensure that he applies the law as written rather than as he thinks the law should be. He discussed his service since 2006 as a judge on the U.S. Court of Appeals for the D.C. Circuit, which has significant jurisdiction over the decisions and actions of executive branch agencies. In the Story lecture, Kavanaugh emphasized that “judges should strive to find the best reading” of a statute or regulation, the one that most faithfully reflects what the legislature or agency intended. But how does a judge find the best reading when a statute or regulation is poorly drafted, unclear, or ambiguous? And how does a judge avoid having his personal views or preferences, in Kavanaugh’s words, “seep into” his work? Courts sometimes address the problem of ambiguous language in a statute by looking to so-called “legislative history.” This is the collection of steps, actions, or statements surrounding the enactment of a statute: committee hearings or reports, statements by legislators, etc. Similarly, courts often address the problem of ambiguous language in a regulation simply by accepting, virtually at face value, the agency’s own interpretation. This can be a problem because, as the Supreme Court said in Marbury v. Madison, it is the judiciary’s job to say what the law is. A judge like Kavanaugh will be very cautious about adopting these approaches, using them only to clarify ambiguous text. Speeches like these, in which Kavanaugh addressed how judges should approach the task of deciding cases, are especially relevant to determining the kind of justice he will be. They show that he fits squarely into the category of an impartial judge who tries to stay within the defined and limited role that judges were designed to have. Minimizing opportunities for his personal views or preferences to influence his judicial decisions will maximize the likelihood that the law, and not the judge, decides the cases that come before him. This is the kind of judge America needs.